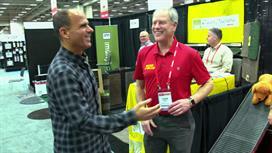 When Marcus Lemonis isn't running his multibillion-dollar company, Camping World, he goes on the hunt for struggling businesses that are desperate for cash and ripe for a deal. In each one-hour episode of The Profit, Lemonis makes an offer that's impossible to refuse: his cash for a piece of the business and a percentage of the profits. And once inside these companies, he'll do almost anything to save the business and make himself a profit--even if it means firing the president, promoting the secretary, or doing the work himself.